"If you want to just read about marine biology, then anywhere will be fine. However, if you want to live marine biology then it has to be Plymouth." 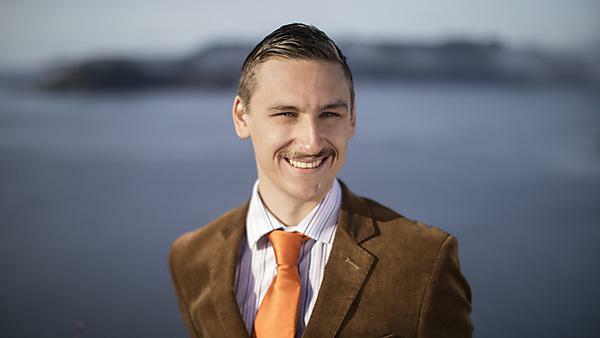 Davis Laundon graduated from BSc (Hons) Marine Biology in 2017 and is currently employed as a PhD student by The Marine Biological Association (MBA) in Plymouth – funded by the Natural Environment Research Council (NERC) EnvEast Doctoral Training Partnership (DTP) through the University of East Anglia (UEA). I almost made a huge mistake when applying to university and was on track to apply straight out of school to a course that would have not been in my best interest. This really did not feel right at the time, and I became aware that I was only pursuing this route as I felt pressured to rush a decision to go straight to university after leaving school. Instead, I decided to take three years out, found a passion that suited my skillset, and retrained with an Access Diploma for a degree that I was really dedicated to. This was a huge risk, and I was never sure of whether my decision was the right one. In retrospect, it absolutely was. I guess the advice I would give to myself – and others in my position – is not to feel guilty about taking some time out to think about your future, even if that time lasts longer than you thought it would. There is no right or wrong time to start higher education, but the worst thing is to commit to a degree that is not right for you. Three years is a long time to be reading about a topic that you have no interest in! Once I had decided to pursue an undergraduate degree in marine biology, it did not take much research to quickly realise that the courses at Plymouth led the competition by way of both reputation and facilities. When I visited the University for an open day, my expectations were exceeded still and I soon fell in love with the city. Not only does the course boast excellent facilities and opportunities – from overseas field trips to the dedicated Marine Station and beyond – but the city itself is a hub for marine biology. 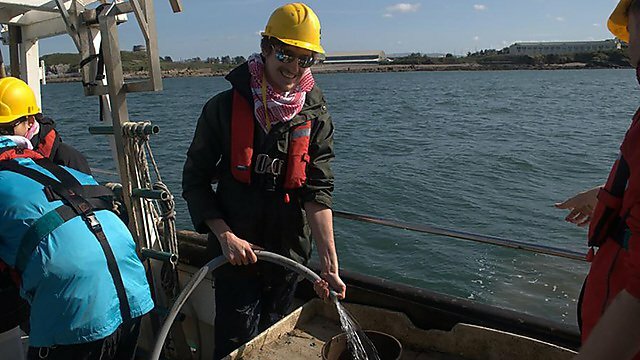 The opportunities for personal and professional growth extend beyond the University as a building and its links to the MBA, the Plymouth Marine Laboratories (PML), the National Marine Aquarium (NMA) and others mean that if you are interested in an aspect of marine biology, Plymouth will probably be able to accommodate you! Also, for anyone who loves nature and the outdoors beyond simply the academic, Plymouth is a hard place to beat. Lined with biodiverse rocky shores, situated on the border with Cornwall and located ten minutes from Dartmoor, it’s hard to think of a better location to study the natural world. Like many people, I become interested in marine biology because of the big stuff – animals such as sharks and whales (so-called ‘charismatic megafauna’) that I had experienced whilst SCUBA diving and from wildlife documentaries. However, it was only a few weeks into my degree when the idea of pursuing these things as research subjects went out the window and I became enamoured with the creatures that exist beyond the naked eye. It was being taught by Dr Colin Munn – my lecturer throughout my marine microbiology modules – that completely changed the way I thought about how the ocean functions. Learning about the colossal diversity and sheer abundance of microbes in the sea (there can a million bacterial cells in a single millilitre of seawater!) was eye-opening. Trying to understand them became the primary focus of my degree and by selecting my modules I specialised my lectures around this newfound obsession. Colin was there throughout my studies and always went the extra mile to indulge my curiosities. I owe Colin a great deal, and would not be where I am today without outstanding lecturers such as him. While I was studying at the University, I received an Award for Academic Excellence (£2,000, 2014), funding to attend the British Conference of Undergraduate Research (£150, 2017) and The Head of School Marine Biology Prize for Outstanding Academic Achievement (2016-2017 £50) from the University. In addition, I was lucky enough to be awarded the Molly Spooner Bursary from the MBA (£1,500, 2016) to conduct a research project over the summer of 2016 in Dr Pawel Burkhardt’s lab looking into the origin of synaptic vesicle proteins in marine choanoflagellates. 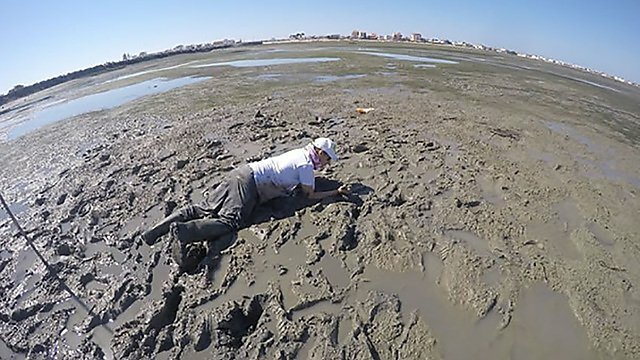 My favourite memory of studying for my degree would have to be being buried in black mud catching fiddler crabs in the blazing Portuguese sun with my friends Scott and Alec for our field course project. It may not sound like the best day out – and my field clothes are still not clean despite uncountable washes – but it was without a doubt the most fun I had on the course and a sacrifice worth making for science! There are great opportunities for support at Plymouth. I often took advantage of LABplus – which is a fantastically equipped area for self-study available to students – to teach myself the basics of microscopy which has become a core component of my PhD research. Likewise, the lecturers are fantastic in supporting your individual ambitions, and it was Dr Manuela Truebano – my lecturer in molecular marine biology – who first put me in contact with researchers at the MBA where I completed my undergraduate thesis and am currently working on my PhD. Since finishing my formal undergraduate studies in June 2017, I was fortunate enough to have the opportunity to exhibit my dissertation research at an international conference and presented my work to the International Congress of Protistology in Prague last August. Shortly after I graduated in September that year, I began my PhD studies at the Marine Biological Association (MBA) and the University of East Anglia (UEA). My PhD is a NERC-funded EnvEast Doctoral Training Partnership (DTP) project and focuses on understanding fungal parasitism in marine diatoms. In addition to my research, I have been engaged in several public outreach events, conferences and courses – so I’m not just confined to the lab! I am also currently working with researchers at the University and the MBA to organise a network to centralise and connect researchers and institutions in Plymouth for whom imaging techniques contribute a key component of their research (the Plymouth Imaging Network (PIN)). Updates on this initiative can be found on Twitter @PlymImagingNet. My career is currently at an early stage, however I have some exciting things lined up for the near future. Of the things I have done so far, what I find particularly enjoyable – and deeply rewarding – is being able to travel around the country to attend courses and workshops led by experts on the cutting edge of scientific methods. So far in my PhD, I have attended a workshop in 3D image analysis and a meeting about the use of metagenetics in microbial ecology. I am looking forward to attending many more. Pursuing a career in research means that I will encounter some quite significant challenges – from the idiosyncrasies of research itself to funding competition. The marine biology degree at Plymouth gave me an unparalleled foundation for a real-life career in science. Unlike some other programmes, your dissertation research is completely independent, and your research questions are chosen by you as a student – which gave me excellent experience in pursuing my own investigations and working independently in a laboratory. Likewise, applying for grants, writing papers and science communication are central components of the degree which gave me thorough insight into what is expected of a career in science beyond the academic. In this hands-on degree, one of the best in the UK and with an international reputation, you’ll explore the diversity of marine life from coastal margins to the deep sea and gain an in-depth understanding of the biology of marine organisms. Teaching takes advantage of the South Devon coast as well as some of Europe’s best marine facilities – so you’ll have the opportunity to not just experience marine biology but to practice it at the highest levels in both the laboratory and out in the field. You'll gain an understanding of marine life at the level of the biology of organisms – ranging from microbes found on coral reefs, the physiology and behaviour of marine vertebrates, to the biology of the marine algae that underpin the vast majority of other marine life.